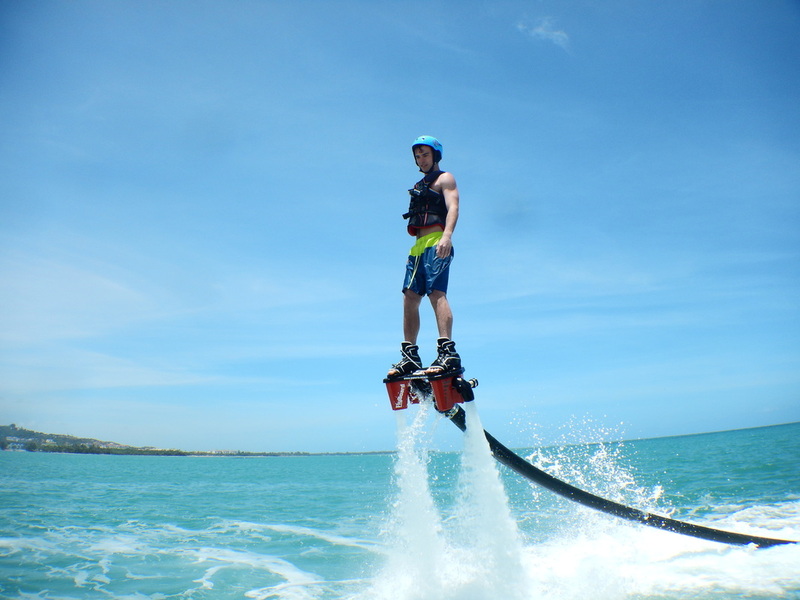 If you looking for an amazing activity when planning things to do in Puerto Rico, then you've found an amazing option: Flyboard. A Flyboard is a type of water jetpack attached to a personal water craft (PWC) which adds propulsion to power the Flyboard through air and water. A Flyboard rider stands on a board attached to a long hose to a watercraft. Water under pressure is forced to a pair of boots with jet nozzles underneath which provide thrust for the rider to fly up to 30 feet in the air or to dive headlong through the water. Not bad huh!? Check out this article for some more information about what a flyboard is: Click Here! If you sign up for a tour you are acknowledging that PR Vacation Helpers is not responsible for any accidents. We have never had any issues, don't be the first! ​first!